Thank you to all at Edible Milwaukee for including Aleka’s Kitchen in your March 2014 issue! The article is fantastically written and the photographs bring the food and stories to life! Click on the link below to read the full article. Bravo Edible MKE! 2013 Summer Markets… summer season is here! Hi everyone! Check out our “where we are” section to for a list of farmers markets we are participating in this 2013 summer season! We’ve added some new locations… hope to see you at one of them! 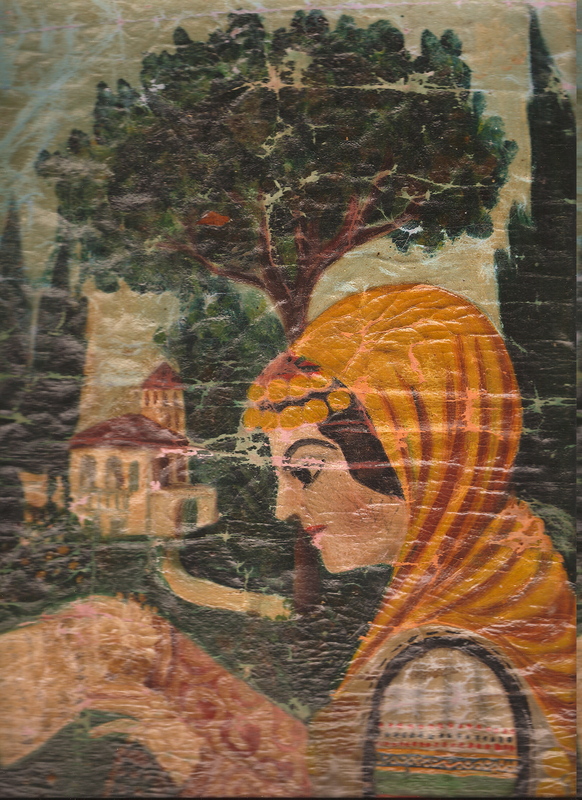 My mother, Yiayia Eleni, painted this as a young girl in her village Koroni, Greece. Yiayia Eleni among her talents in the kitchen… had an organic style of painting. Her paintings consisted of home-grown colors and authentically innocent vision. This painting dates back to about 1920 and is quite unique considering what the social norms were in the Greek villages back during that time period. It’s recently been restored, quite a frightening process as it was the first time it was handed over to a non-family member, but thankfully was returned in its vibrant glory. The colors popped and it was so pleasing to see the colors as Yiayia Eleni originally attended them to be.